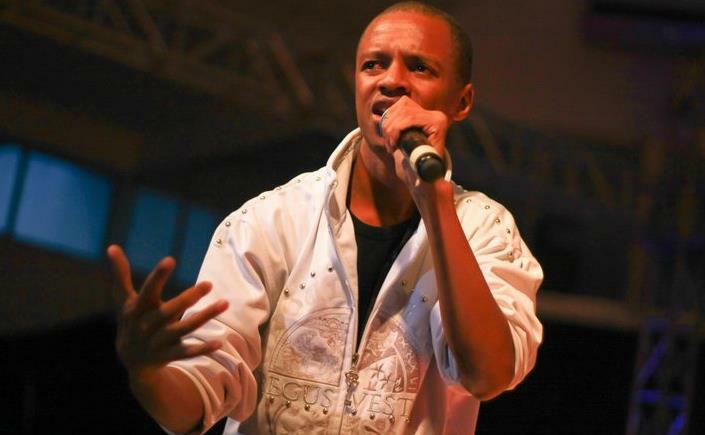 Gospel artist Astar (Richard Njau) has been one of the most consistent gospel artists for the past few years. His delivery of Gospel rap has been refreshing to the industry and has earned him numerous awards including a Kisima Award, several Chaguo la Teeniez awards and three KORA nominations in the yet-to-be held awards ceremony that has been postponed twice. He is a member of the dynamic group formerly known as Hip Hope (now Chit Chat) and is signed to Kijiji Records. He owns arguably the biggest Kenyan group on Facebook called MWAPI (Music With A Positive Influence) with over 22 thousand members with the official blog at www.Kenyangospel.com/mwapi. Until recently, he was Kijiji Records' Content Distribution Manager as well as helped in the Marketing Department before quitting these two positions. We sit down for a chat as he outlines his new direction in music, his upcoming new album, Chit Chat and reason why he quit his positions at Kijiji. We also premiere his new video with Kerah called Songa. So what has Astar being involved with lately? I am involved in a project called C.T.A(Clearing Up the Airwaves). It is a campaign aimed at pushing for positive content on Radio and TV. I believe C.T.A is going to be huge. I also quit my positions at Kijiji (records) and I'm full time into music. Do you mean you are no longer with Kijiji as an artist? No, I am still an artist signed with Kijiji and still with Chit Chat. The amazing thing when I told Kanjii (Kijiji Records owner) that I had to step down and jump full time into music, was that he still kept me under salary and encouraged me to focus on C.T.A. That was a major blessing. So is Chit Chat taking a break? No... this is just some growth for us guys. Basically Chit Chat continues. We are about to launch the I La La Like video and also another single called Excuses. It is just that now as individual artists we have grown and are more clear about our individual callings. Right now Cii (Ciiru Karanja) is doing an internship at Mavuno Church, Michelle is working on a mixtape, Bupe has already jumped into the studio and began recording, Rigga is almost done with his university studies though his has big music plans for next year, Dee (Diana Nduba) has been doing huge advertisement jobs including a recent MTV Mama ad and she is just seeking God on her musical direction. As for me, I am the first out and it is very clear what I need to do; C.T.A! Tell us about the single Songa that features Kerah I wrote it before I left Kijiji. It was clear that God wanted me to go into full time music but I was scared about the unknown. I was comfortable under the Kijiji umbrella where I was safe from the usual 'financial hussle' other artists go through but it wasn't until I obeyed and stepped out in faith that the song came to completion. God showed me 'mad favour'. It's 'crazy'! I hadn't also spoken to my zacks (Father) in like 6 years and he is now back in Kenya. We're now best of friends and he even attends Mavuno church. It has been amazing. Fear, doubt, hurt, anger, rejection - all these things had prevented me and other people from moving on. Just being comfortable in your life prevents you from moving to the unknown. In this song, I tell guys to move. Life is about constant movement. When is your new album releasing? My plan is to release it in December 2010 though God may have other plans. I don't have all the songs but I know the direction and message of the album. Who are you going to collaborate with? For now I know Kerah, Diana of Chit Chat is on the proposed next single, the whole Chit Chat crew, Kanjii most definitely, Wyre, Juliani for sure, probably a few Nigerians and an international US artist.